Nathan Nobis. Animals & Ethics 101: Thinking Critically About Animal Rights. Open Philosophy Press, 2016. Buy the book on Amazon in paperback for $5.99 or Kindle for $2.99, or download the book for free. Reviews on Amazon, the Open Textbook Library and Between the Species. Are we morally obligated to provide pets with veterinary care (and, if so, how much?)? Why or why not? Take a look at the . . Bonus Chapter: "Abortion and Animal Rights: Does Either Topic Lead to the Other?" 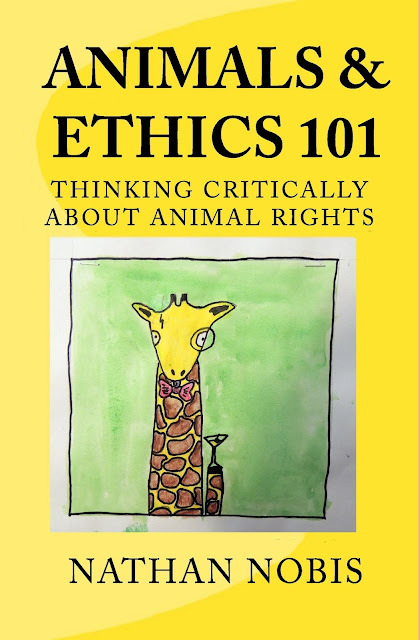 Nathan Nobis, AnimalEthics101.com. Simple theme. Powered by Blogger.